The meeting was organized by the Ministry of Industry and Trade of Tatarstan to expose the investment and trade potential of Tatarstan to the visiting delegation from the Embassy of Uganda in Moscow with the bid to establish business connections between Uganda and Tatarstan. Ambassador Olwa requested the Investment Development Agency of Tatarstan to consider a collabration with the Uganda Investment Authority. 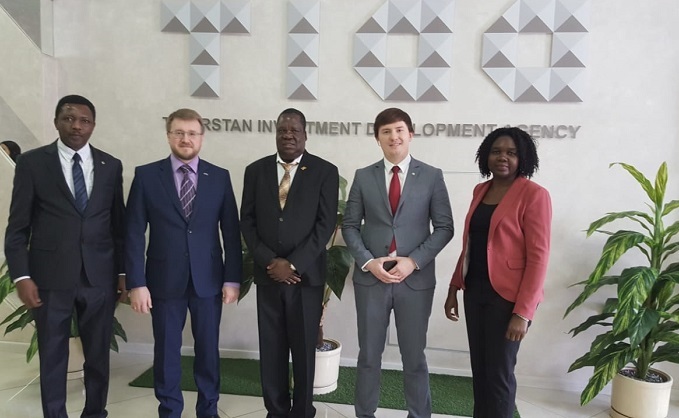 The Investment Development Agency of Tatarstan is positive about the collaboration with Uganda Investment Authority and as the main organizers of the Kazan Investment Forum, they will be inviting the Uganda Investment Authority to participate in the Forum.